Dr. Aric Sudicky earned his Bachelor of Education from Western University and his Bachelor of Science and Doctor of Medicine degrees from the University of Calgary where he was awarded the Silver Medallion academic award. He was also a decorated athlete, winning a national silver medal in men’s university volleyball while maintaining academic all-Canadian performance in the classroom. Prior to starting medicine, Aric served as the Director of Fitness and Nutrition at Medpoint Health Care in London, Ontario. 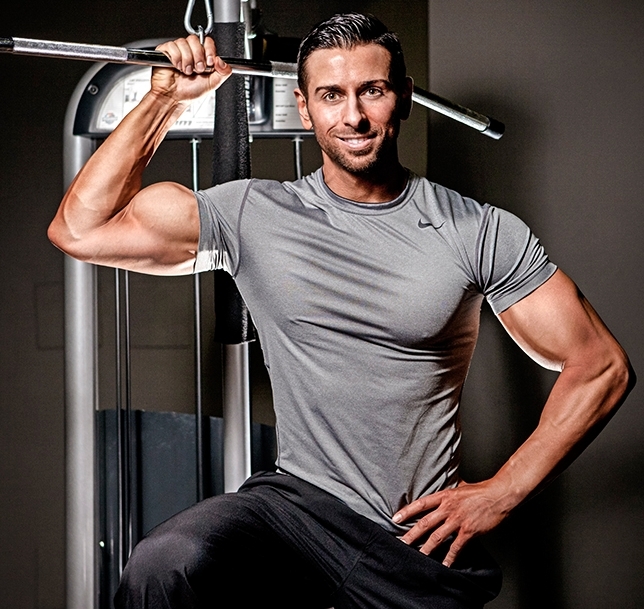 At Medpoint, Aric co-founded the first medically integrated exercise and nutrition program in Ontario and was voted the 2011 Canadian Fitness Professional of the Year for his efforts. Outside of clinical duties, Aric’s passion for advocacy and health education led him to many rewarding opportunities working with various media outlets across North America. Over a span of three years Aric enjoyed hosting over 150 episodes of his weekly radio show “It’s Your Health” that became popular for busting exercise and nutrition myths with solid science. He also wrote and hosted the “Medpoint Minute”, which was featured on AM 980 in London, Ontario, and provided listeners with concise health tips on a weekly basis. In print, Aric has been published in hundreds of magazine issues as a fitness model and health writer in Canada and the US. He currently sits on the Science Advisory Panel for STRONG Magazine based out of Canada and is a contracted writer for Active Interest Media in the US. Aric is known for providing commentary on exercise science controversy and new research evaluations. On television, Aric enjoys providing expert health and fitness advice for various stations, such as City TV and Rogers. In the Unites States, he was honoured to co-host a feature segment with the Chief Medical Expert of Discovery Channel, Dr. John Whyte, to discuss the “Sit to rise test”. Aric is currently completing residency training in family medicine while researching innovative medical school curriculum in nutrition, including the use of prevention prescription pads in Canadian primary care.